Mingle with other guests at the complimentary reception, held daily. A complimentary continental breakfast is served daily from 6:30 AM to 9:30 AM. With a stay at The Manchester View in Manchester Center, you'll be within a 10-minute drive of Bromley Mountain Ski Resort and Gander Gallery. This romantic hotel is 16 mi (25.7 km) from Stratton Mountain Resort and 2.2 mi (3.6 km) from Manchester Designer Outlets. 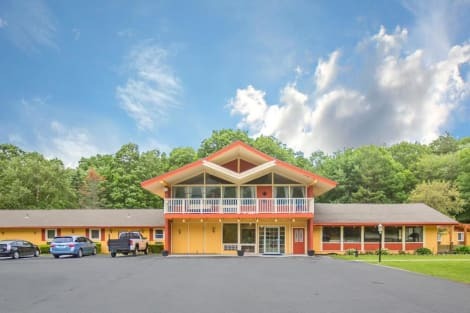 Located in Manchester Center, Four Winds Country Motel is within a 10-minute drive of Manchester Designer Outlets and Orvis Fly Fishing. This motel is 4.4 mi (7 km) from Equinox Preservation Trust and 5.4 mi (8.7 km) from Hildene. 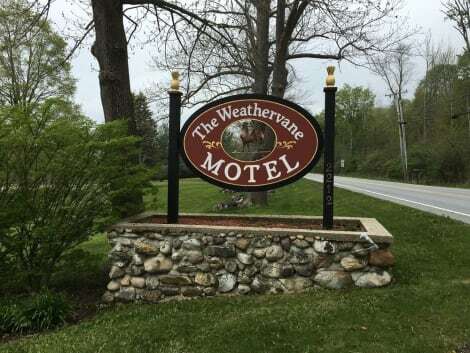 With a stay at The Inn at Willow Pond in Manchester Center, you'll be next to a golf course, within a 15-minute drive of Bromley Mountain Ski Resort and Gander Gallery. This golf hotel is 17 mi (27.3 km) from Stratton Mountain Resort and 3 mi (4.9 km) from Manchester Designer Outlets. With a stay at Hampton Inn and Suites Manchester, you'll be centrally located in Manchester, within a 15-minute drive of Bromley Mountain Ski Resort and Orvis Fly Fishing. 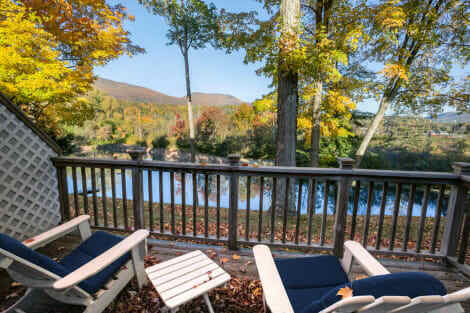 This hotel is 17.8 mi (28.7 km) from Stratton Mountain Resort and 0.5 mi (0.8 km) from American Museum of Fly Fishing. Enjoy American cuisine at Chop House, one of the resort's 4 restaurants, or stay in and take advantage of the 24-hour room service. Relax with a refreshing drink at one of the 2 bars/lounges. Full breakfasts are available daily from 7 AM to 11:30 AM for a fee. lastminute.com has a fantastic range of hotels in Manchester Center, with everything from cheap hotels to luxurious five star accommodation available. We like to live up to our last minute name so remember you can book any one of our excellent Manchester Center hotels up until midnight and stay the same night.